click to go through to original as-is. 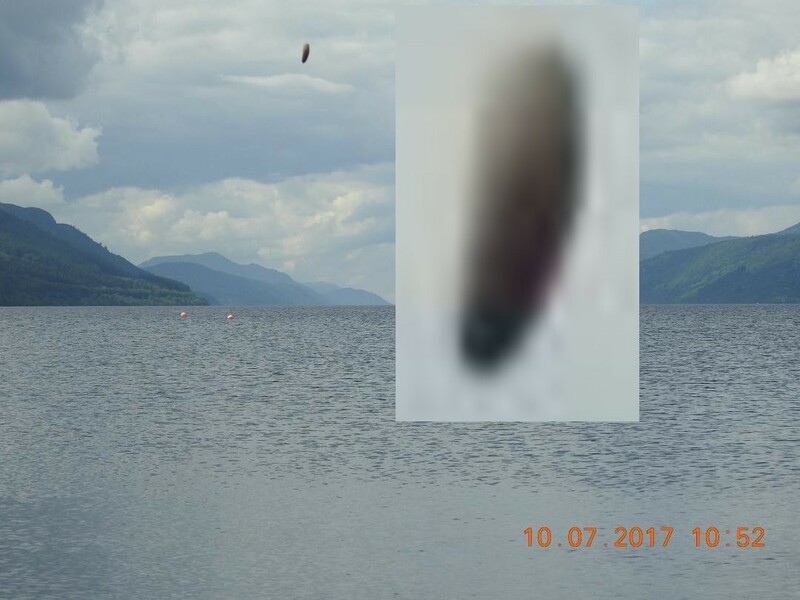 ...Well, on the 10-7-2017 I snapped a picture of a similar object at Loch Ness! 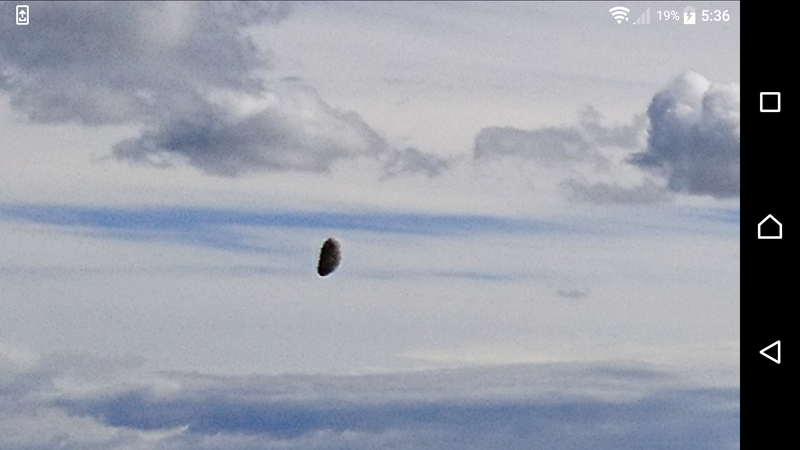 BEAMS comment: There's just 18 days between the two inadvertent captures; one over Dundee, the other above Loch Ness! Extremely odd-looking things these, and they certainly don't look like bugs or debris on the lens to us - they're too unorthodox and substantial; and the positioning/angle etc in the photographs of both objects is near identical - why, it almost appears as if they have posed for the camera! but that can't be right surely? or can it? 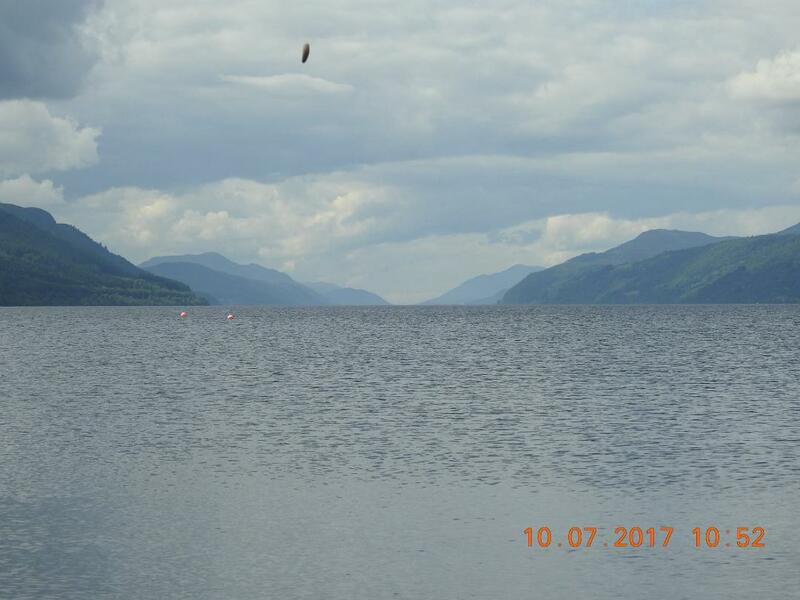 Note also how in the Loch Ness catch how all the background and water is perfectly in focus, e.g. no camera shake - so in reality, this object is likely to look exactly as it appears on the picture... any apparent blurriness is probably down to its makeup. ...and if you have any doubts, we say... Go Compare!! !